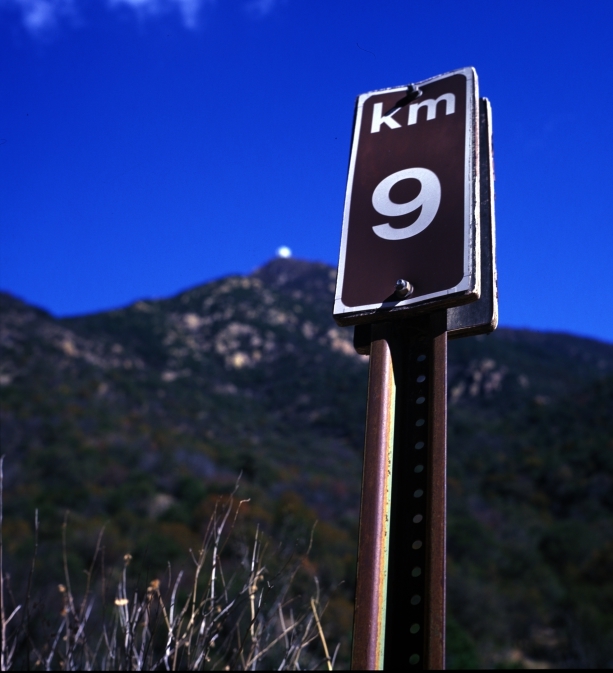 The old 9km marker on Mt. Hopkins road. You can see the MMTO in the background.